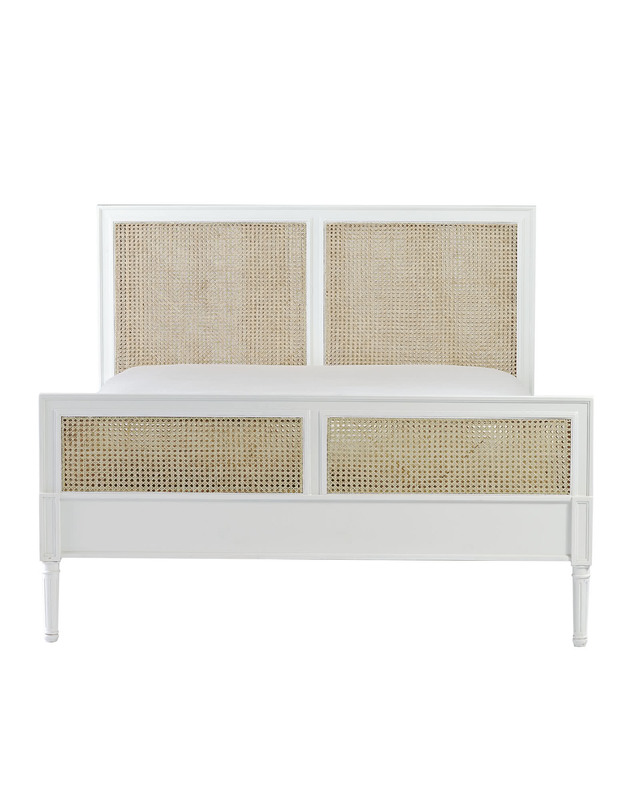 Harbour Cane BedHarbour Cane Bed, White alt="Harbour Cane Bed, White"
Print Our re-imagining of a traditional Louis XIV bed, freshened up with a tropical twist. 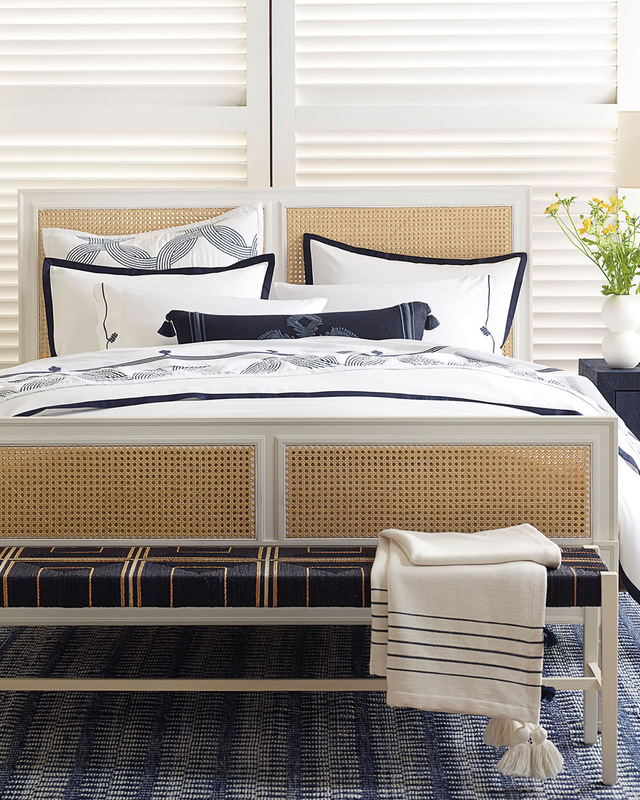 To create the airy cane pattern, artisans meticulously weave sustainable rattan by hand. 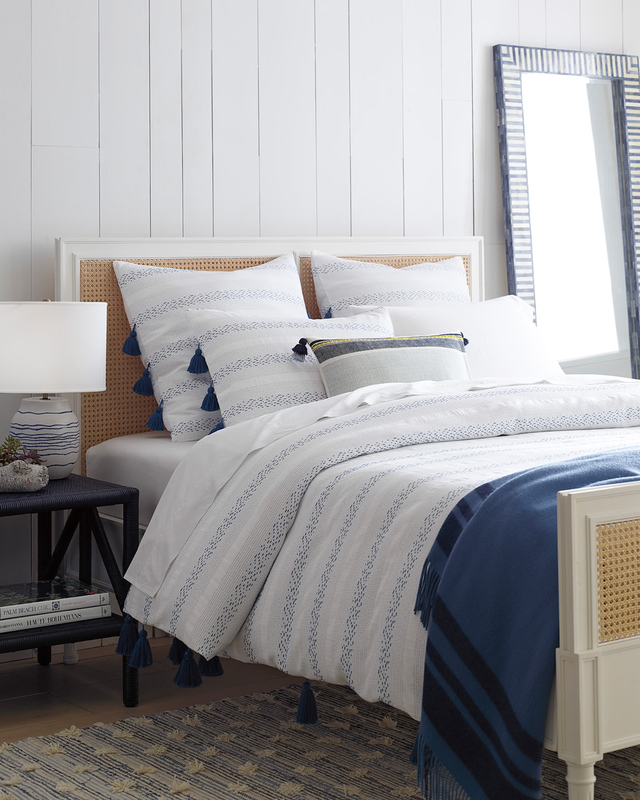 The bed is then artfully finished for a modern look that goes with anything. Solid hardwood frame, fluted legs and simple molding details. 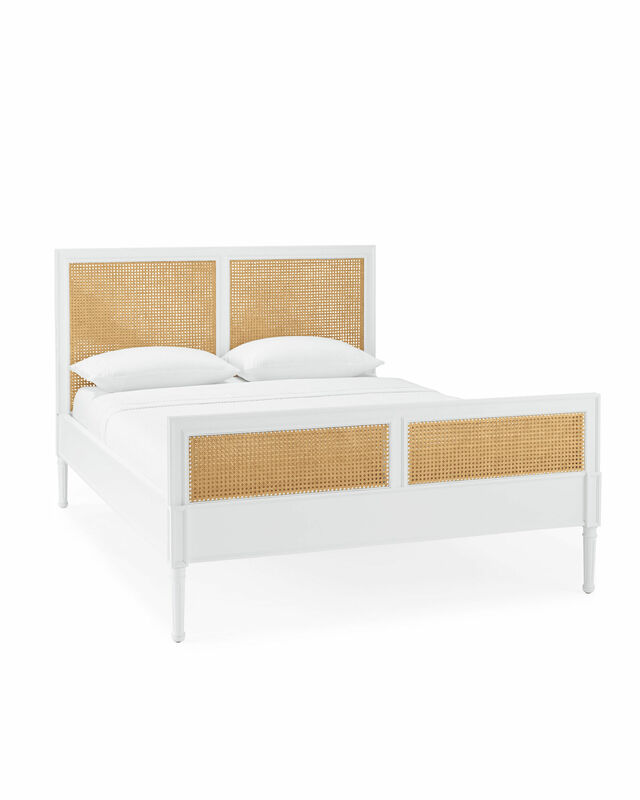 Double-sided caning on headboard and footboard woven by hand of sustainable rattan. Hand-applied weathered-wash, white finish, or Ebony. Headboards and footboards for Twin size features solid caning. 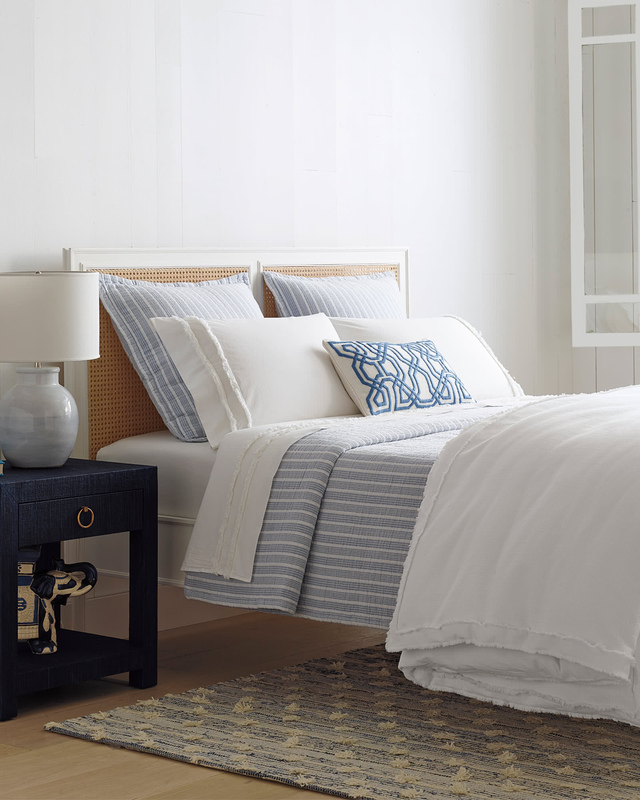 For added stability, the larger Queen and King sizes feature a split-panel design for headboard and footboard. Bed slats recessed 3.25" from the top of the side rail.